ETC is the leader in our area for providing the best Internet experience. What does that mean? 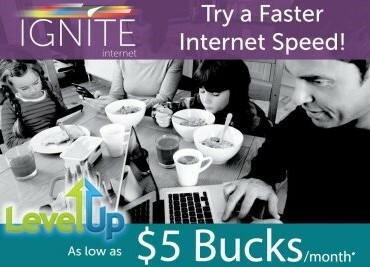 Internet that works and is fast, friendly local support to squash any problems, timely service calls… Time to make your Internet experience better with IGNITE. Isn’t it nice to do what you want on the Internet? Like you, we do not like having to worry if our next click pushes us into the penalty zone of data-cap fees. ETC’s IGNITE Internet is truly unlimited. We are not going to nickel and dime you, sticking you with data fees. No confusion. No run-arounds. We are your problem solvers. Our technical support team is located in Ellijay and available for you 24/7/365. Standard download speeds start at 20Mb. Upload speeds start at 2Mb and go up to 20Mb. Pricing starts at $49.99/mo. Choose from download speeds of 20, 30, 40, 60, 80 & 150Mb.